I’m trying to branch out my gardening skills. I’ve mastered peonies. I’m getting pretty good at annuals. I haven’t killed my clearance section azaleas yet. And now I’m on to hydrangeas. I planted two hydrangeas in front of our house a couple years ago, but they never seemed to do well there. After noticing a couple neighbors’ flourishing hydrangeas I took note of what side of their house they were planted on. Both were planted on the North side of their homes so I decided to follow suit and move our two hydrangeas to the North side of our house last fall. I think I made the right decision because they’re doing ten times better this spring compared to the last two springs. High five for stalking your neighbors. Since my gardening goal this year is to successfully grow hydrangeas I was thrilled when the Endless Summer® Collection offered to send me a hydrangea. I love the color of the new BloomStruck™ hydrangea they sent. My other hydrangeas are white and, to be honest, I can’t remember what color the other one is because it hasn’t bloomed in the two years I’ve had it. When planting the hydrangea, I followed Endless Summer’s planting directions on the included card. I also read their blooming success tips on their website. With so many resources out there on hydrangea growing success suggestions, things can get confusing because sometimes there’s conflicting growing advice. It was nice to go directly to the grower’s site and read their specific tips. I’m excited to watch my new hydrangea grow over the summer. 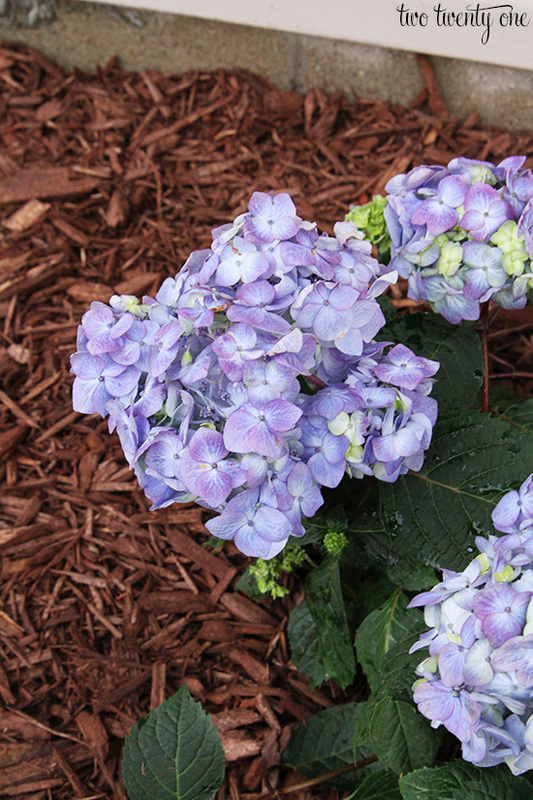 Did you know Endless Summer® hydrangeas flower, on average, 10 to 12 weeks longer than other hydrangeas? That’s something I’m definitely looking forward to. 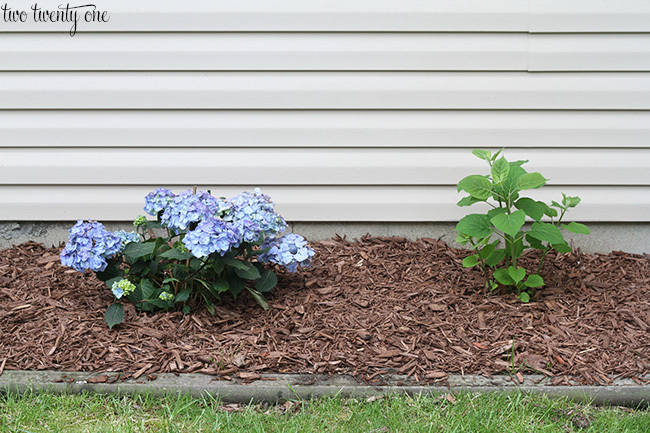 Here’s a side by side shot of the new BloomStruck™ hydrangea and the white hydrangea I transferred last fall. While the other hydrangea is doing better than last year, it is having a slower start. If it doesn’t do well this summer I’ll probably replace it with a Blushing Bride Endless Summer® hydrangea. I love how the blooms turn from white to blush pink. And that way I can have three different colored hydrangeas. How about a $100 Visa gift card giveaway so you can tackle some gardening projects this summer? To enter, comment telling me how you would put the gift card to use. This sweepstakes runs from 05/19/2014-06/22/2014. 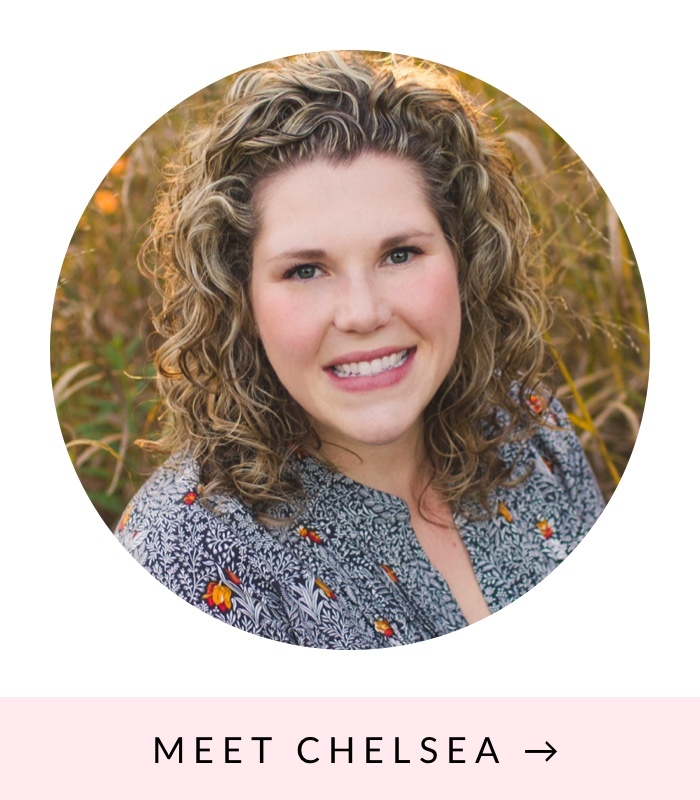 Be sure to visit the Endless Summer brand page on BlogHer.com where you can read other bloggers’ posts! They are so pretty, I sure hope you have good luck and get them to grow for you. If I won this gift card I would be able to try my hand at landscaping and build a flower bed on the front lawn next to our portch! I would update my mail box and plant a flower bed around it! It needs some new curb appeal! This comes at the perfect time! In my new apartment, I’ve been converting our little patio into a miniature garden by planting all sorts of flowers and veggies. I’d use the card to spruce up some of the pots and add some hanging flowers into the mix! I would buy some much needed new whiskey barrels and planters to replace the old ones I have been wiring together for the past several years. My yard needs help! I would use the gift card to spruce up my patio with some new pillows and decor. I too love Hydrangeas! I have has good luck with the endless summer. 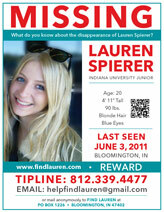 Every year can be a bit different so maybe give them more than one year in their current location. If I won I would use it to buy more ground cover. This brutal winter has wiped out a lot if what I had so I’m looking at big patches that need help! Ooh. I have peonies, also. I’m pretty good with them. When we bought them, they were literally just little stalks with leaves. They’re 4 years old now and have started to come up finally. (Thank you Michigan winter for finally leaving!) We”ve had more blooms each year, but this gear its already fuller than all four previous years combined so I’m thinking I’ll have quite a lot of blooms this year! I’m excited as in 4 years I’ve had *maybe* a dozen blooms total! I would use the gift card to buy cushions for our wrought iron patio chairs to bring some color to our patio! We are moving into a newly built house with no landscaping. The gift card would help me get started. I would like to get mulch as well as some new plants (maybe even a Hydrangea!). I’d also like to put mulch or something for a surface for the playground area. My hydrangea from last year is not flourishing very well. If I won I would definitely use the money to add some plants to the front of my garage! Love hydrangeas! They are one of my favorite flowers! I transplanted one from the grocery store about 2 years ago and it is 3 times the size it was the first time. I just transplanted another one over the weekend in another part of the yard, so fingers crossed it does well too! I read that changing the acidity of the soil changes the color of the blooms. Mine was purple when I first planted it but now it’s blue. If we get a lot of rain and the driveway, right next to the flower bed, floods it turns pink until the soil tries out again. We got a good start on our outdoor space this weekend but I still need 2 planters for my front porch. I’d use the gift card to complete the project! 🙂 Thanks! This is our 2nd summer in our house and we are focusing on landscaping. Would love to add hydrangeas to our yard but like you, still learning what works where! I too just purchased an Endless Summer Hydrangea and didn’t even think to go to the website for growing instructions! Thank you for that. I love them! If I won, it would help finish purchasing an outdoor bench for my front porch. I would love to get that all ready for summer! Thanks for the chance.. I would love to put this gift card towards new shrubs for the front in our house that died due to Winter kill! I would dress up my back porch with some flower boxes! We are working on our front yard right now & would use this to buy some finishing touches. I would buy some plants for the garden. Each year I add to my perennial garden. I have two hydrangea trees in my garden and I need to place new perennials near them as an accent in my garden. Michigan weather has finally warmed up and I am on the hunt for perennials. I would love to win a Visa gift card. I would use the gift card to replace some AWFUL bushes (ferns?) in front of my house. They were a part of the basic landscaping my builder provided, but I hate them!! We haven’t removed them yet because we have nothing to replace them with, and I feel bad tearing out perfectly healthy plants just because I don’t like them. I wouldn’t feel so bad though, if the new plants were free! I would use a gift card to purchase a couple bushes for the side of my house, and actually I’m thinking of hydrangeas! Thanks for the chance to win! Hydrangeas have been my favorite shrub since 4th of July, 1976. I was 6 years old and we were visiting my grandmother who had a beach house on Long Island. Her yard was surrounded by HUGE Hydrangeas – she told me that were all at least 25 years old. They towered over me! I remember – and have pictures of – running around the yard in my birthday suit playing in the sprinkler. I have moved around enough as an adult I never had a great place to plant them, but am finally settled and would love to buy some beautiful blue or pink or purple Hydrangeas and plant them along my fence like she did. And hopefully my grandkids will run around my yard 25 years from now and have lots of towering Hydrangeas too! 🙂 Good luck with yours – beautiful! I would buy mulch, vegetable plants and lots of flowers! I can’t wait for a day to work in the yard! We would create another garden box in our side yard to plant more tomatoes and zucchini. I would put the funds to additional landscaping in our front yard! We actually just planted three Endless Summer hydrangeas over the weekend. I’d love to add peonies, as well. I, too, am trying to master hydrangeas! I’d love to buy some more!! I’ve been eye these hydrangeas from this company. If I win the gift card, it will be my sign that I have to buy these hydrangeas! I LOVE hydrangeas. We have very similar flower tastes–peonies and hydrangeas are definitely high on my list of favorites (along with lilacs–we planted lilac bushes last year but they didn’t do very well, so I really hope they do a bit better this year!). I’d spend the money on flowers for the little bed in front of our house. I planted a variety seeds and I have very little faith that they will actually grow! I would love to fix up my yard. We have been trying to do a little each year, but it is still in pretty bad shape! I would use the gift card to fill up my new flower boxes I just put up last year. There is a flower farm an afternoon’s drive away. I love to go there and pick out one thing, I’d love to get a bunch of perennials that look like a bunch of wild flowers.I’ve been wanting to have a small fence and plant climbing flowers – roses or even morning glories! 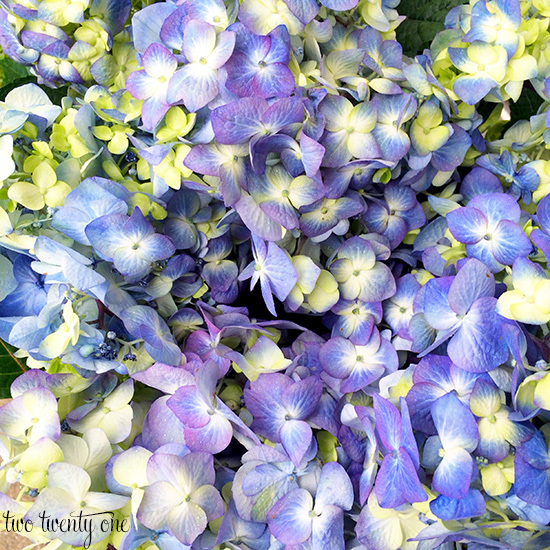 I love these Endless summer Hydrangeas – so pretty! Hydrangeas are my favorite and I love how they look in people’s yards! I would use the giftcard to purchase some of my own and plants them in my front yard! I love both hydrangeas and peonies and currently have one of each in my yard. I’d love to add more! I would create the herb garden I’ve been dreaming of! Hydrangeas have long been a favorite! I would use it to stock up on some summer/outdoor essentials like planters and patio furniture! I would spend it on landscaping, landscaping, landscaping! I need some flowering bushes/plants for my side yard! Thanks for the opportunity!! I would use the gift card to buy some bulbs and new gardening tools! I would buy some plants for my porch. If I won, I’d be buying lots of pretty perennials for our yard! I would use the gift card to start a herb garden. We have enough flowers already and got that part out of the way. I would buy paint! We have so many rooms to paint in our new house. I would be herbs, herbs, and a few more herbs. I would put it toward patio furniture! I would use it for bushes for our front yard. I was very pregnant last summer, and it was way too hot here in Texas for me to do much of anything outside. Hydrangeas are one of my favorites! They do spread their roots, so be careful where you plant them! If I won, I’d use the gift card to buy my annuals for the summer. It’s just now warming up in Iowa and I am anxious to get my hands in dirt! I would use the card for a new mailbox, replace faded house numbers (not good!) and start on the rain barrel project I’ve been eyeing on your site. I’d use the gift card to buy some supplies for a vegetable garden. How would I use the $100 gift card? Let me count the ways . . . There are so many things that need done in and out of our house which was built in the 60s. Not to mention we have sixteen year old quadruplets that always need something. We don’t have many frills including cell phones. The question would be which thing to do first? My backyard currently has no landscaping whatsoever, so I would love to put this toward that big project! I would use the Gift card for planting flower pots for my patio! Would love to buy a new outdoor rug with a visa gift card. I would love to add a raised garden bed or to help towards a shed!!! I would love to use the gift card to plant more flowers in my yard. I would use the gift card to spruce up our yard. We would love to do a raised flower bed. I would buy a Japanese Maple. Endless Summer Hydrangea is a good choice because it sets blooms on old and new wood so yiu can trim it anytime. If you have not trimmed the hydrangea that has not bloomed for 2 years…let it just grow. Some hydrangea will only set blooms on old wood. Happy gardening. I would buy another perennial for our front yard! Maybe peonies? i started a garden and would love to add a small little fountain. i would purchase one if i won. I would probably put the $100 towards patio furniture. I could also use a lot of compost, and edging material for my beds. Actually solar lights would be great too. I would use it towards mulch! I would use it to buy mulch. Our flower beds and trees need it desperately. I love hydrangeas! I would probably use this for some landscaping materials and/or some new pots to update our front porch! Thanks for the chance to win! These are so pretty! I would love to grow some. I love hydrangeas and peonies! My grandmother had both of them in her gardens and I remember loving how they looked. I even had them in my wedding bouquet. If I won the gift card I’d purchase a few more peonies and colorful pots to spruce up my flower beds. 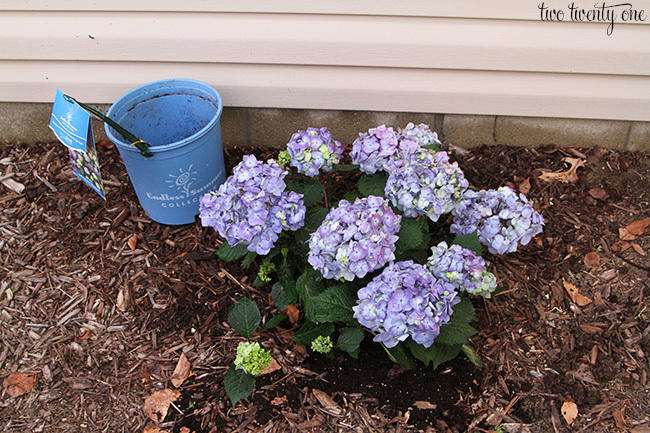 I would love to plant some hydrangeas in a large pot (since I rent) to keep by my front door area. I have yet to master keeping any plants alive because, but plan to start a little herb garden so this could be a nice addition. We need some new bushes for our back garden. I would LOVE some hydrangeas of my own! I would love to buy some new outdoor furniture! I definitely need some help with landscaping our house! Or putting it towards some outdoor furniture for our sparse deck. I don’t think my hydrangeas are coming back this year 🙁 I think I need to replace them! I’m doing really good with my flowers this year. If I won the giftcard I would put it towards a fire pit. I have been meaning to build one for a while. Thanks for the tips about the hydrangeas. I’d like some flowers in pots for my porch. I would use the Visa gift card to buy Endless Summer Hydrangeas of course! I would plant them in our yard and at my mother in laws house on Cape Cod! I would use it to spruce up our front porch so that we could sit and enjoy the view of our beautiful flowers out front! My handsome husband bought me a hydrangea for Mother’s Day. If I won I would return the favor for him and buy arugula for our veggie garden. We’ll see how both the hydrangea and the arugula do in a desert southwest summer. Indoor container pots anyone? I was already considering trying a hydrangea and this post just helped make up my mind. If I win, an endless summer hydrangea is what I will purchase. Would LOVE to add use this in order to start working on my garden in my new construction home. I would love to use this gift card for my patio decoration…getting some nice hanging pots and adding new fresh pillows. Both are front entry and our desk are in need of greenery and flowers! I scrimped and saved an ate a lot of ramen to get one nice lounge chair for my patio. I would love to get another so my husband can come sit beside me. Or I might buy a heck of a lot of ramen. You can never have too much! I actually would get a couple of hydrangeas! I really want some on the side of my house! I’d use the GC to put new mulch around my roses. I would use it for gardening supply and hopeful some for party supplies. I would use it for mulch and flowers around my house. we are moving this summer and leaving behind our hydrangeas and daisies. I would use the gift card to replace both! I am crazy about hydrangeas, and I am trying plant a front yard/ garden so I can enjoy our great porch! I would love to win this gift card – and take it straight to the garden center1!!. I would replace the hydrangeas I lost to the bad weather winter we had and add more native plants for the butterfly’s. We have one of the national butterfly counts on our farm, so we can always use more flowers to feed and attract the butterfly’s and benefit more wild life.. I look for bargin’s , half dead plants that are kept watered usually come back., that way you have saved a plant and money too. We have been working to spruce up the yard of my rental home. I would use the gift card to purchase some adirondack chairs and tables so we can enjoy the large backyard once it is clear of weeds! We’re working on a vegetable garden! i would buy a lemon tree for the front yard and maybe also some hydrangeas! Your hydrangeas are beautiful. Would love to win a gift card so I can plant some in my yard. I would love to have more flowers – you can never have too many. We have some flower beds in our back yard that have been basically empty since we bought our house, so I’d use the gift card to give them some attention! I grew up in Oregon with Hydrangeas and love them. They remind me of home. I have two in pots right now and would love more, I love all the colors so beautiful. I love hydrangeas but I would use to purchase fruit trees. If I won the card I would buy the two hydrandgas my yard is missing. I have three already but room for more! I would buy more hydrangeas! They’re one of my favorite flowers; they were the main flowers in my wedding bouquet. I planted some a few years ago and sadly they didn’t make it. I would love to try growing them again! I just got married, moved to Indy and have a yard that needs color! Would love to add Endless Summer hydrangeas ! If I won the gift card I would be courageous and, I would by a hibiscus or hydrangea plant. I have never had these two plants in my garden. I’m smiling to myself as I read your blog because I’ve been working in my yard all spring, and we have very similar taste in flowers. Glad to hear there is hope for my peonies in the future! My hens and chicks are doing fine, and I have faith my hydrangeas will begin to flourish. The trick (I hear) is water at the root when the plant starts to droop… Don’t over water. I am struggling with a new Endless Summer hydrangea planted last year and a transplanted peony from my sister-in-law, so I was happy to read your suggestions. These are in front of my house that needs some more beauty. I would sure enjoy winning a gift card to help. I found your blog today through the Inspired Room. Thanks for sharing. My daughter is getting married in our back yard and I have been planting like crazy! Pink Hydrangeas, Pink Peonies, Pink coneflowers….If I won the gift card I would purchase something….well, Pink of course 🙂 btw, Your Peonies are GORGEOUS!! Great article! I have a question: How to care for hydrangeas in winter?